Thanks for the invite on Twitter to drop by your website. Have supported Tranmere Rovers since I was a nipper, and although can't get to away games much these days due to poor health, Prenton Park remains my church. 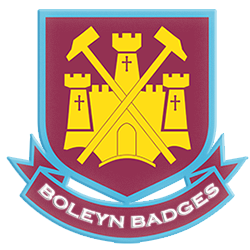 Who knows, we may cross swords with West Ham again some day, like we used to in the 1990s. Enjoyed looking through the site, and all the best for the future!